Nvidia is a powerhouse when it comes to graphics, and those who take their gaming very seriously will only rely on them for the best visual experience. The GeForce GTX90M is a serious graphics card for those who need the top of the line, and we’re here to review exactly what it can do. For those who know a thing or two about gaming, you understand the importance that a graphics card holds over your entire experience. Nvidia is a brand that gets this more than anyone and their range of graphics cards are reserved for the most serious gamers who need top of the line performance. The GTX 980M was released in 2014 and although it’s a few years old by now, it’s still a very serious contender for one of the best gaming graphics cards found in a laptop. We’re going to delve deeper in what it can do, the types of games it excels at, and review a few of the leading laptops that features this card as standard. Nvidia consistently strives to better themselves when it comes to graphics, and they have a keen focus on gaming laptops specifically. This means there’s no need to settle for less just because you prefer to game on a laptop, as you’ll see when you check out the GTX 980M and what it can do. Nvidia launched the GeForce GTX 980M graphics card in 2014 and heralded it as the ultimate device for gaming laptops. Claiming that it was capable of 75 percent of the performance capabilities of the desktop 980, this would make it the fastest on the market. While it didn’t achieve the 75 percent as promised, it did come quite close. 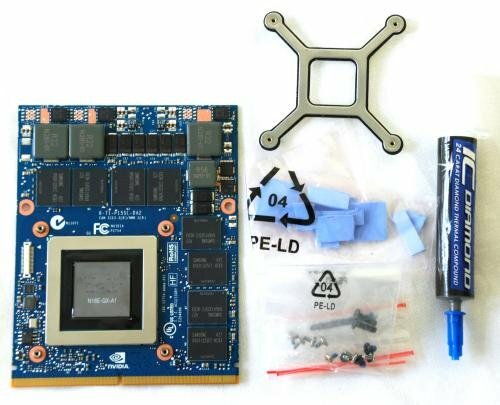 To this day, it’s still one of the better options available for a laptop gaming graphics card. This card is found in many powerful laptops and notebooks that have been designed specifically for gamers so they understand the importance of delivering on this front. This 28 nm DirectX 11 graphics card is made for premium laptops and they’ll usually charge quite a bit for the privilege. Nvidia states its clock rates are 1038 MHz for the GPU and 1250 MHz (5000 MHz effective) for the memory. Based on the Maxwell GM204 architecture, it’s modern and powerful making it perfect for today’s gamers. To get an idea of what the GTX 980M offers, it’s best to look at its features. Those who know about Nvidia’s GeForce range might notice that it’s similar to others in the 800M series but just a little more powerful where it counts. None of these features mean a thing without understanding how this operates in a gaming environment. Made to be an efficient card, the GTX 980M is seriously fast even compared to the previous 880M. When it was released in 2014, it managed to be the fastest graphics card available for laptops of that year. If you’re someone who likes to play only the most modern and high powered games, you’re in luck. The GTX 980M was made to handle these and do a whole lot more. You’ll get super fine details, anisotropic filtering, and a full HD resolution no matter what you’re playing. Although it’s a top performer, you need the right hardware to handle it and some something with a powerful cooling system is ideal. In terms of power consumption, it can swallow up quite a bit but this is to make up for how well it performs per watt. When looking at the benchmarks, this card was able to deliver at 1080p even without a power source. However, the playable framerates that this offer might not be up to the standards of some and so it’s better to stay connected. Using the Battery Boost technology can help this somewhat, as it offered higher framerates that might make it more bearable. To get the best use out of your Nvidia GeForce GTX 980M card, you’ll want to choose a laptop that’s got it built in and the right hardware to make it run. Here are some of the better models available that features this graphics card as standard and are a great choice for gamers. Alienware joined the crowd and offered the Maxwell powered GTX range with their 17 R2 model aimed at serious gamers. This laptop comes with four different models depending on how much power you need with the most powerful offering the GTX 980M, 1TB hard drive, 8 or 16 GB RAM and a 4 GB GDDR5-VRAM. This is an expensive device and one that only gamers would pay for the privilege to use, with powerful hardware and only the most crucial software. It offers HD resolution and cool features like light effects that add even more to your gaming experience and other multimedia applications. Some added extras are a maintenance hatch that lets you upgrade as you wish, Killer Network Manager for connectivity, and a range of ports and slots. Cased in a sleek silver packaging, there’s very little you can find wrong with this laptop and at a great price, too. Acer has never really been top performers when it comes to gaming, but in 2014 they decided to make a change to all that. The Acer Predator 15 was one of the first times we saw them get serious about the gaming market, and they put quite a high price tag on it. 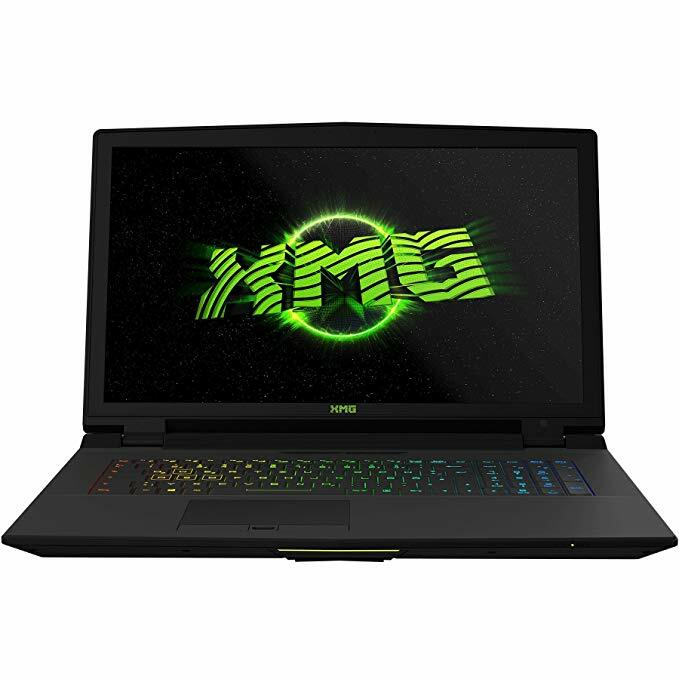 This laptop features the powerful Nvidia GeForce GTX 980M graphics card which proves how serious they got. With 1920 x 1080 pixels of full HD resolution and an Intel Core i7-6700HQ, there’s no question about whether or not this is a gamer’s dream come true. There are again different versions of this available including a 54-bit Windows 10 edition with a range of storage options. Whichever model you choose though, you’ll get it housed in a seriously cool black design with RGB lighting to really complete the look. Since the release of the Predator 15 we’ve seen even more great gaming systems from Acer, so this is often considered one of their first and best. Most gamers have their sights set on a ROG laptop at some point or another In their gaming career, and this is an example that shows why. The G751JY will knock your socks off by pairing the GTX 980M with a 4th generation Intel Core i7 processor for a serious gaming experience. This laptop comes standard with Windows 10 Home but there are other options for those who prefer it. Proving that the hardware can be just as important as the software, Asus has put an intelligent dual-fan inside this laptop and uses copper heat sinks to get rid of the heat and noise that most computers produce. The audio has been given careful consideration as well, and you’ll get the ROG AudioWizard that lets you optimize your audio experience. Asus Sonic Master is also present, so we’re not sure if the graphics or audio are those most impressive thing in this laptop. Built with the latest up to 6th Generation Intel Core i7 K overclockable processors and complete with optional discrete graphics up to NVIDIA GTX 980M, this PC is unbeatable. A mechanical keyboard with fully customizable backlight settings in an array of color settings and red highlighted WASD keys means greater accuracy. For boosted performance when even the toughest of settings can't keep up, this One Key guarantees that you stay ahead of the competition. A central interface that gives you complete control over your gaming preferences, and features in-game screen recording and sharing with NVIDIA ShadowPlay. Most gamers buy their laptops based on performance, but what would be so wrong with having a top performer that also looks about as beautiful as they come? The Lenovo IdeaPad Y900 is seriously stylish and features perfect RGB lighting in a rainbow of colors across the keyboard. The laptop measures a 17-inch screen which offers full HD display, and although it might not be as high res as some competitors, it got a beautiful 1080p G-Sync screen that makes the colors truly pop. As a pretty sizeable device this won’t be easy to carry around but considering how great it looks you might want to show it off regardless. In terms of graphics, the Lenovo comes with an Intel Core i7-6820HK processor and GeForce 980M card. This means you’ll get desktop quality gaming in a laptop package, so there’s no need to sacrifice in this sense and give up the freedom of a mobile device. With a name like Dominator Pro, it’s pretty easy to see where MSI was going when they designed this laptop. Thanks to the powerful GTX 980M graphics card and Intel Core i7 processor, you’ll have everything you need to dominate the gaming world and then some. This laptop looks quite similar to others in the MSI line and they always appear strong, sleek, and perfect for gamers. With a red lighting scheme and big, bulky look, it definitely appears the part but might be a little hard to travel with. For a home gaming laptop though, this is a great choice. There are plenty of connection options with this laptop as well as upgrades, so you’re not just stuck with one machine for life. MSI is known for making their laptops totally configurable which is great news for gamers especially. A lack of touchscreen is the only real problem with this, and that’s not usually a big deal for those who like to game. Schenker always likes to try new things with their laptops, and it often works in the favor of us gamers. With their XMG U706 they decided to use a desktop CPU inside the laptop in the hopes of giving it more power, which it certainly did. This comes with a few options starting with the base model offering GTX 970M and higher upgrades with the 980M. you’ll also get a Core i5-6600, matte IPS screen to remove the glare, and DDR4-2400 RAM. To spend a little extra and get the premium model will be well worth your money especially if you take your gaming seriously. There are plenty of features here worthy of note, but you have to be prepared to carry around a hefty 8.8lb device to get them. With a 17.6 inch screen this is to be expected, and for some gamers, it’s the size they’d prefer. However, don’t go getting this if you like portability as it will take quite some work to take it with you. When Nvidia launches a new graphics card, especially one that they herald to be the latest and greatest for mobile gaming, the world sits up and takes notice. As you can see by the performance of the GTX 980M this was one case when they were spot on about how powerful their new product could actually be. To get the best use out of this graphics card, you’ll need a system to accompany it. Any of these laptops we reviewed that feature the card also offer the hardware and other parts to make it run like a dream, giving you the best chance to experience everything the Nvidia GeForce GTX 980M has to offer. Since the release of the 980M, Nvidia has made even more powerful and compact graphics cards that are ideal for gaming. However, even by today’s standards the graphics offered by this one are ahead of many competitors, and due to its age, you can usually get them at a much cheaper price than when they were released.